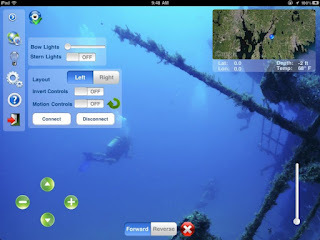 HydroView was created by US-based Aquabotix Technology Corporation, which is a privately funded company that develops fun and exciting consumer as well as commercial products for underwater observation and exploration. HydroView is a light-weight, remote operated underwater vehicle with a high definition video camera and LED lights. HydroView gives the possibility to see the underwater world through live video, capture still shots, upload recorded images to social media sites, and navigate through the water using iPad, iPhone, Android phone or laptop. 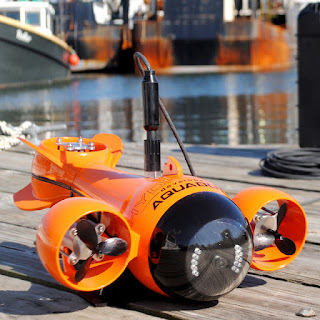 The HydroView’s sleek design packs sophisticated robotics, built-in energy efficient lights and an HD camera into a submersible vehicle that is the size of a typical backpack. Weighing less than 10 pounds, the HydroView offers the latest technology in an incredibly portable and affordable package.